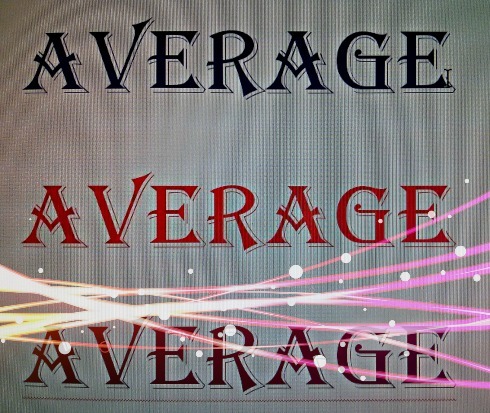 Stop Being Average. Really, Stop it Now! Do you want to be living an average life? You have endless opportunities to reinvent and change yourself. However bad things may look, there is always an opportunity to begin to make changes, to aspire to be beyond average. Take a few minutes to think about areas where you can be, or already are, above average. Think across all areas of your life: you may be an above average friend, an above average partner, an above average colleague, an above average choir member … You get the picture. Take a pen and try to list about 5 ways you can rise above the average. And then put it into practice! As women we tend to conditioned not to praise ourselves and not to appear ‘over confident’ I know so many friends and colleagues who can give praise but cannot accept it! I did as suggested – took 5 mins to think about where I am average or above average and I found many areas that I had not really considered before. Time to stop accepting that position for me and time to rise above to where I belong!! 2015 will be a great year and I intend to embrace it with vigour..